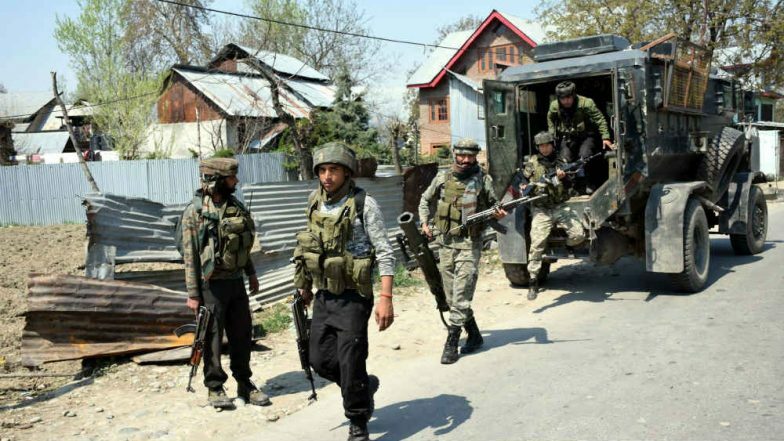 Srinagar, April 16: Terrorists attacked residence of National Conference leader Mohammed Ashraf Bhatt in Jammu and Kashmir's Tral town on Tuesday. According to initial reports, terrorists hurled a grenade at Ashraf Bhatt 's house. The grenade exploded outside his residence. No one was injured in the attack. On March 30, terrorists hurled a grenade near a branch of State Bank of India (SBI) in Pulwama district. The grenade was lobbed at a picket of the Central Reserve Police Force (CRPF). A CRPF jawan, who was deployed along with others to guard the SBI branch, sustained injuries in the attack. On February 14, a suicide bomber devastated a CRPF vehicle at Pulwama, killing 40 troopers. The attack was claimed by the Pakistan-based Jaish-e-Mohammed (JeM) terrorist group. Authorities had then decided not to allow any civilian vehicular movement on the highway when convoys of the Army and security forces move on it.